improving server systems, security and service. To give our customers the best performance and availability of servers 24/7/365, the storage services we provide are operated on Linux-based high quality machines. Our shared environment support PHP, CGI, Perl, Cron Jobs, MySQL, etc... All can be managed simply with advanced tools exist in the account control panel, We using Cpanel, the best and most advanced hosting control panel. We update it regularly to the latest operational version. In Host4site we put an emphasis on customer service. We understand that customer needs and technology change frequently in accordance with the requirements of hardware, software and service. It is important for us to meet customer needs and always try to find the appropriate solution. Representatives are available to assist your calls 24 hours a day over the phone or via ticketing system. Installing content management systems was never easier: Joomla, WordPress, Drupal, blogs, forums, e-commerce, galleries and more ready to install with few clicks away. Over 50 scripts for site management systems, ready for various purposes without the need for prior experience in any programming language. Hosting packages (website hosting), for web developer and site owners. 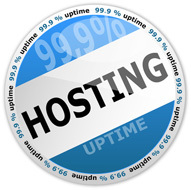 We provide quality cheap web hosting under strict security on the most stringent conditions, using the latest applications, in additional we backup all accounts at no additional charge. All packages can add unlimited databases, domains, email accounts and have very large traffic volume. Sunday - Thursday between the hours of 9:00 to 18:00 GMT+2 972-26481691. Our ticketing system available 24/7, a representative will contact you shortly after receiving your call. Our ticketing system allows access whenever convenient and easy to operate.